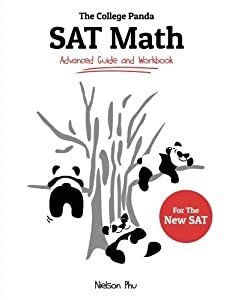 If you love pandas, then you've come to the right place! Here you'll find everything you need for a panda-lover in your life or to add to your growing panda collection. Shop now at our store for the best deals and products that will suit your needs or use our search toolbar to find other related merchandise. 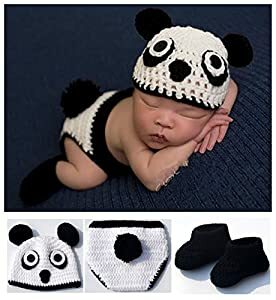 We Love Pandas is an online store that deals in merchandise with a panda theme. From t-shirts, mugs, and books to toys, jewelry and office and school supplies, you can find many items that tickle your fancy. You can shop for the best quality products at reasonable prices and you can choose from the following categories. T-shirts-When it comes to t-shirts, you can find them in many colors and designs. These are fun t-shirts and they feature panda images that will light up your day. The t-shirts are made of cotton which makes them easy to wash and try and care for. They also feature double needle sleeves and bottom hems, making them very durable and stylish when you wear them. Books-Our book collection is handpicked and includes children’s fun and activity books. we also carry National Geographic books for level 2 readers, that will help your child learn more about these beautiful animals. You can also buy a panda-themed journal to write notes or keep a diary. Office and School Supplies-This section provides everything you need for the office or school. 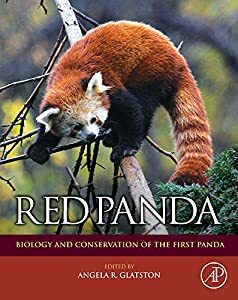 From planners, panda coloring books and pencil sets to wall calendars, panda key chains and mouse pads, you will find everything you need to showcase your love for pandas! 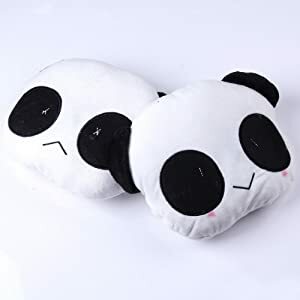 Covers and Pillows-In this section, you will find cute pillows and covers with panda designs. These pillows are perfect for brightening up any room, whether it’s the living room or bedroom. You can also find comfy duvet covers or buy entire bedding sets in panda theme. Toys-Everybody loves a cuddly toy and here you can find a lovely collection of plush stuffed animals. These toys elicit joy and comfort and they are made of high quality materials. Some of these toys are very realistic and feature great attention to detail. 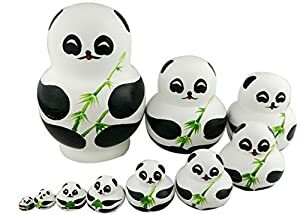 You can also buy a panda 3D crystal puzzle or a deck of panda playing cards, which are great gifts for adults. Jewelry-You can also buy jewelry at We Love Pandas. 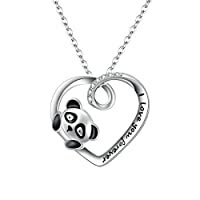 Some of the items available for purchase include panda pendants and necklaces with genuine gemstones. 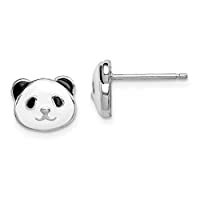 You can also check out a panda Swarovski crystal pin brooch, which features a panda on a bamboo plant. For an additional fee, you can choose a gift box and you can have your purchase gift-wrapped. Mugs-We all have our favorite beverage and you can enjoy your drink even more with a panda mug. These mugs are colorful and you can even buy a mug and spoon set. 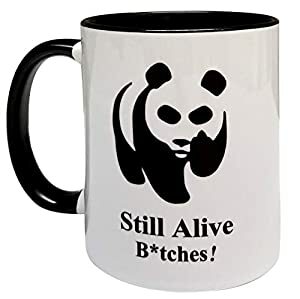 You can also check out the panda mug that features a black and white panda sitting at the bottom of a bamboo chute handle, nibbling on a leaf. All these mugs are ceramic and they will keep your beverage hot for a long time. Shopping at We Love Pandas is very easy, convenient and fast! You can browse by our categories to find what you’re looking for or use our search toolbar for faster results. Everything is available at affordable prices that will suit your needs. When you find something you like, simply add to cart and enjoy 100% secure payment through Amazon's official website. Come and visit our store today and discover the wonderful world of pandas!